Grennan and Town looked at the medical device approval process and compared the United States to Europe (EU). They looked at second-generation cardiac stents and found the FDA was pretty close to optimal and EU was too lax regarding to market regulations. In this paper, we’re examining the approach that the FDA takes to medical device regulation and asking the question: Is it optimal, or how close to optimal is it? There’s a raging debate about whether the FDA is too difficult on medical device regulation, whether it’s too hard for device manufactures to get their device through the regulatory process, or whether [the agency is] too lax and lets too many potentially harmful devices through the process. There really is no other kind of similar analysis out there that’s been able to credibly identify the causal relationship between regulatory regimes and this information content, and the benefits that patients get from these devices. * So we think our research is kind of one of a kind. There’s some older research that’s related to what we did, but we think ours is pretty unique in that sense. *There still isn’t. A crucial element that’s missing in Grennan and Town’s self-congratulatory paper is the lack of acknowledgement that most first to market medical devices are created at the startup level where a larger company acquires the startup and their technology. As this site often points out startups operate under the guise they’re too small and off the radar of theFDA where there’s a greater propensity to cut regulatory corners in order to show hypergrowth and sell to a larger company at the expense of patients, employees & taxpayers alike. 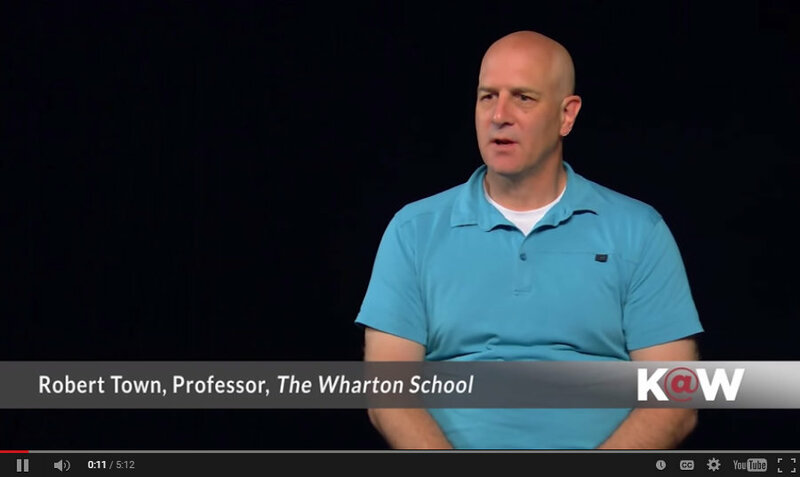 Cutting regulatory corners and fraud are one in the same. While Grennan & Town’s findings are interesting they’re not really relevant. That surprised us — that the U.S. was so close to optimal, given the calls for reforms at the FDA. We kind of expected the FDA to be too difficult to get through. 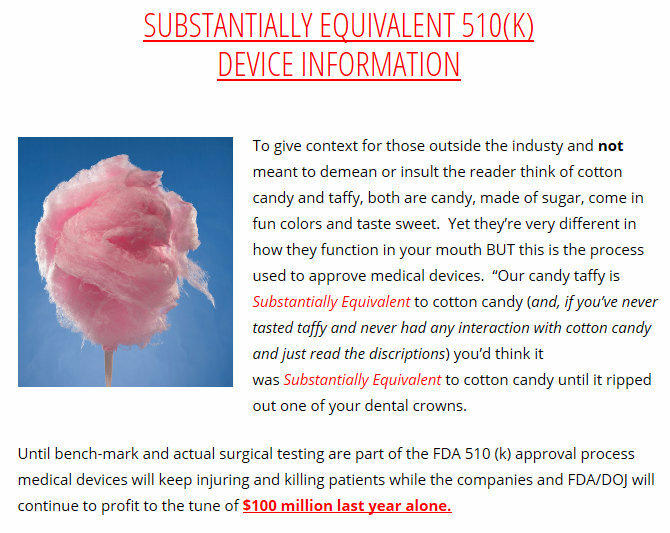 The approval process for a medical device is known as a 510 (k) and once a device is approved all other similar devices (substantially equivalent) are approved based on that similarity and is what’s known a predicate device. Grennan & Town studied second generation devices meaning all of the devices were predicate devices based on something that was previously approved & similar. What appears isn’t addressed in their paper is what if company was fraudlent in the predicate device process or if a predicate device is pulled by the FDA (or better still if after meeting with the FDA the company “decided” to pull the product off the market), then what happens to all the other devices that were approved off of a device that was either pulled by the FDA or by the company after meeting with the FDA? This is a tactic often used by the FDA to allow the company to save face publically but at what cost to the people if other devices remain? Johnson & Johnson sold the Relieva Stratus MicroFlow Spacer for three years after they acquired startup Acclarent. Frequent readers of this site are familiar with my former employer medical device startup Acclarent which was acquired by Johnson & Johnson’s Ethicon for $785 million in January 2010; and, most recently the DOJ arrested & indicted two former executives on 18 counts of fraud (some related to the 510(k)) and there’s a case filed in CA stating that both Acclarent & Johnson & Johnson knowingly marketed its Relieva Stratus Microflow Spacer for an unapproved drug deliver use. 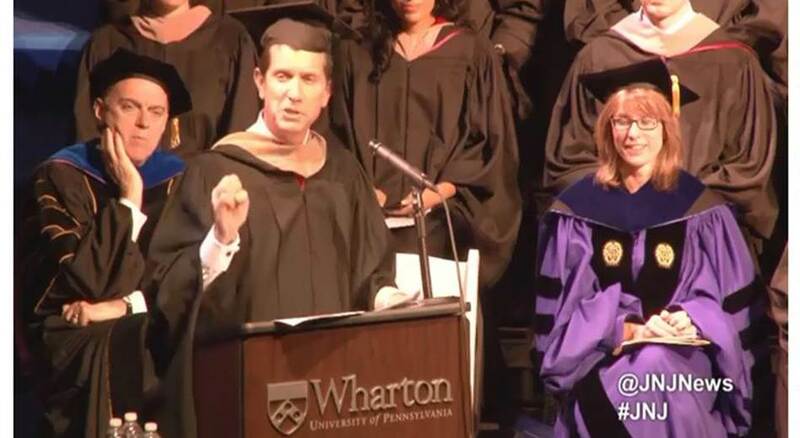 Chairman & CEO of Johnson & Johnson Alex Gorsky received his masters from The Wharton School of Business. Hopefully no other devices were approved where the Stratus MicroFlow Spacer was used as the predicate device; and,that first generation medical devices, because of increased regulatory fraud, are included in future studies addressing concerns over the FDA approval process and medical devices. 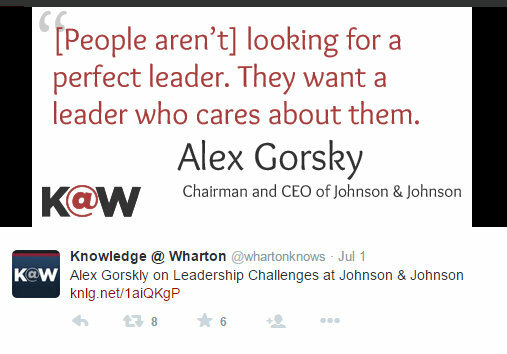 The study only needs to look to Wharton grad Alex Gorsky’s own words to know that greed and fraud are relevant and in part what makes Grennan & Town’s study not relevant. It’s always important to note where the money comes from to fund studies. Remember Congress created non-profit Reagan-Udall Foundation for the FDA 2009 – 2013 where much of the revenue was generated by Big Pharma’s DOJ federal offenders which is a conflict of interest. 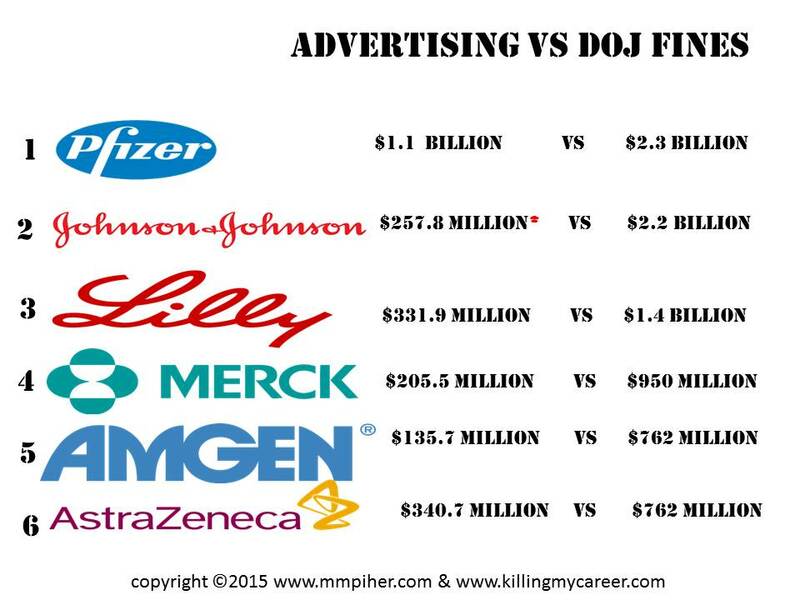 These pharma/device companies paid huge advertising dollars, huge DOJ fines and contributed to Congress created non-profit Reagan-Udall Foundation. Data for this research was provided by Millennium Research Group . We owe thanks to Jason Abaluck, Andres Aradillas-Lopez, Steve Berry, Joe Harrington, Robin Lee, Scott Stern, and audiences at the BEA, Chicago, Clemson, FTC, HEC Montreal Summer IO Conference, iHEA, Johns Hopkins, Kellogg Conference on Healthcare Markets, Minnesota, NBER IO and Health Care Summer Institutes, NUS, Ohio State, Penn State, Rice/Houston, UCLA, Wharton, and Yale for helpful comments. The University of Toronto, Wharton Dean’s Research Fund and Mack Center for Innovation, and the Indian School of Business provided financial assistance. Ellie Prager, Mike Punzalan, Emi Terasawa, and Christine Yang provided excellent research assistance. Any errors are our own. The views expressed herein are those of the authors and do not necessarily reflect the views of the National Bureau of Economic Research. 510 (k)and Access in Medical DevicesChairman & CEO of Johnson & Johnson Alex Gorsky Wharton MBACongress created non-profit Reagan-Udall Foundation for the FDA 2009 – 2013 Revenue generated by Big Pharma’s DOJ federal offenders which is a conflict of interestFDAJohnson & Johnson and Wharton's Matching Gifts ProgramJohnson & Johnson Ethicon AcclarentKnowledge@WhartonMedical Device Makersmedical device regulationMillennium Research GroupPatient advocacy groups are often funded by pharma/devicepredicate devicesPublic PolicyRegulating Innovation with Uncertain Quality Information Risk and Access in Medical DevicesRelieva Stratus MicroFlow SpacerRisksubstantially equivalentThe National Bureau of Economic ResearchThe Wharton FundWharton health care management professors Matthew Grennan and Robert TownYou don’t have to get it 100% right. When you get it 60% go!